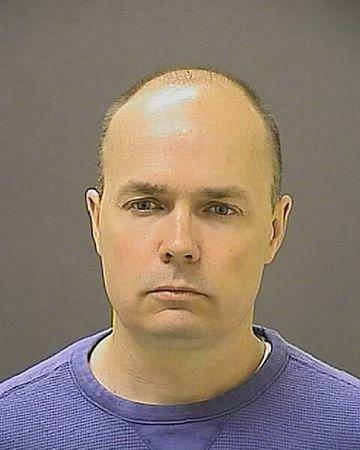 BALTIMORE (Reuters) - The highest-ranking Baltimore police officer charged in the death of black detainee Freddie Gray should have secured him in the transport van where Gray broke his neck, a Maryland prosecutor said on Thursday at the start of Lieutenant Brian Rice's manslaughter trial. But a defense lawyer for Rice, the fourth to be tried of six officers charged in Gray's death in April 2015, said in opening arguments that it was up to Rice to decide whether Gray should have been seat-belted. Prosecutors are still seeking their first conviction for Grays's death, which triggered protests and rioting and stoked a national debate about police treatment of minorities. That debate flared again this week with the deaths of African-American men at the hands of police in Minnesota and Louisiana. Rice ordered two officers on a bicycle patrol to pursue Gray when he fled unprovoked in a high-crime area. Prosecutors allege that Rice should have seat-belted Gray, 25, when he and another officer put him into the van while shackled. They also failed to call a medic. Schatzow told Judge Barry Williams, who is hearing the case in a bench trial, that Rice was told days before Gray's arrest that updated police department protocol mandated seat-belting detainees in transport vans. But defense lawyer Chaz Bell said the case against Rice centered on "three Cs" - Gray's combative attitude, a crowd looking on and the van's confined space. The focus is "a nine-second assessment that it was too dangerous to force a seat belt on Gray," he said. Bell's argument about Rice's discretion is the same as that made in previous trials in which officers were cleared. Rice is charged with involuntary manslaughter, second-degree assault, misconduct in office and reckless endangerment. Prosecutors dropped another misconduct count relating to the arrest on Thursday.